It is true that first hour belongs to the novice traders. It’s possible to make huge gains in just a matter of minutes. However, it is also possible to lose a lot of money very fast as stocks may change direction very fast, so you need effective strategies with solid risk management to make profits. 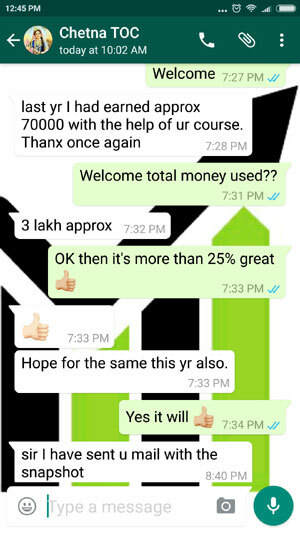 However if some research is done even first hour can be very profitable trading intraday. If you check the stocks that opened the highest gap up or down for the day – in most cases they will reverse as time passes by. Usually the novice traders buy the gap up open stocks and sell the gap down open stocks thinking that they will take the same direction throughout the day. 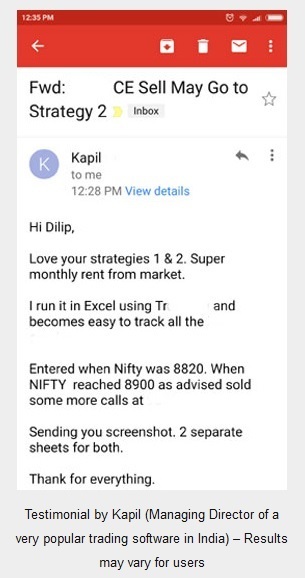 Fact is they do not and novice intraday traders lose heavily. So should you do the opposite? No its not that simple. Now a days online newspapers are plenty. Its easy to read news real time to know whats happening around you. Reading news will give you an idea of what may happen the next day in stock markets. For example if there is a very bad news in a sector you can short the stocks in that sector. If there is a good news in a sector you can buy the stocks in that sector. Chances are in the first hour these stocks will trade as per the news, then the professional traders will come in and either push the stock in the same direction or change the direction. But by that time you have to exit the stock. You should plan out your exits in advance and keep it in the system as stop loss/profit limit orders to exit your positions. The stocks will be moving so fast it is easy to miss an exit, therefore system exit is recommended as soon as the order to buy/sell is complete. In the first hour 80% of the trades are done by novice traders then last 15 minutes of the first hour the experienced traders take control and the real price gets discovered. The idea is to find novice traders are more with demand or with supply. If the demand is more then the stock will keep rising else it will fall just after gap up opening or vice versa. It is recommended to learn a few things about candlesticks 5 minutes charts that can help you to try to find the next move of the stock in first hour. But just candlesticks 5 minutes charts are not important. 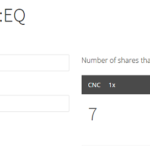 Previous day news, candlesticks 5 minutes charts, total volume increase in terms of percentage form the previous day – all these things combined can help you trade the first hour of a volatile stock. The first hour is too volatile. In seconds you will see the trade in profit or in loss. You will be puzzled where to book profits or loss. So for every volatile stock (mid-caps), keep the profit percentage shorter and for large cap stocks (non-volatile), keep the profit percentage bigger. Note: If there is a good news on a large cap stock it is certain to go up for next 3-4 sessions. During this time it is better to become an investor rather than just trade the first hour and go home with a lower profit and missing out on larger gains. Change your trading pattern according to the need of the hour. In the first hour due to novice traders the stock can move up and down within minutes. The first 5-10 minutes is the WORST time to trade. All are trying to get there orders to be filled in reaction to the news. Therefore do not chase the current strength in first few minutes. Let the stock take some time to settle down and take a clear path. After 15 minutes of opening the stock usually takes the trend for the day. Read about moving averages. Moving averages will give you an idea of the real path the stock will take after some time. Trade this path. If you speculate and trade the strength you will lose badly. If the stock was very bullish in the last trading session then there is high chance that it will try to break the previous-day high again the next day. After a few minutes if the trend continues then you can be long on the stock. However it is important to read any news related to the stock the previous day. Strength may not continue if their is a bad news in the stock. Hope you learned First Hour Intraday Day Trading. If there are any questions please ask in the comments section below. 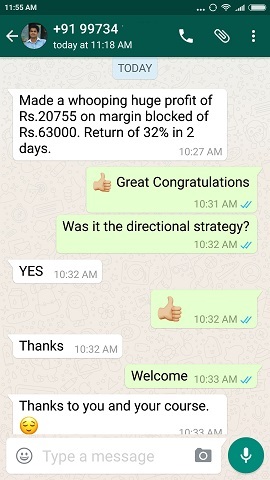 If you are option trader and too busy in your job you can do my option course where neither any speculation of direction nor any monitoring is required of the markets. You can check my course details here. First one hour – novice time? really….? First 5-10 minutes worst time to trade? really for real….? Anand may be you are different due to experience. But this article is for general not so experienced day trades who burn their fingers in first hour of trading due to inexperience or speculations or excitement of making money. Nice Article sir.. thanks for sharing it !! I read all your Post and it’s really helpful to traders and really thanks and appreciate your efforts. By reading all this I would like to enroll in your course very soon. 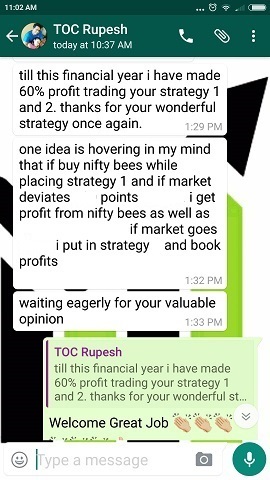 Your post is really helpful , Great one.But one suggestion Sir, 10 min candle is more clear & stable to trade with any stock/ index.compare to 5 min candle.What is your opinion Sir ??? For very short term intraday trading its better to stick with 5 min candles however it may depend one one’s experience too. For ex if you have experience with trading 10 min candles and you are doing well with 10 min, then do not change your style – stick with what is working for you the BEST RULE of stock trading.